Get Your Vision Back In Order. Proudly serving the San Mateo area. We're the first mobile eyewear service provider in the Bay Area! 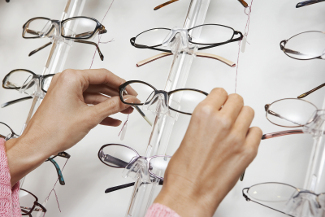 Have an old or broken pair of glasses? Feel like it’s time to get a new pair? We’ve got you covered. 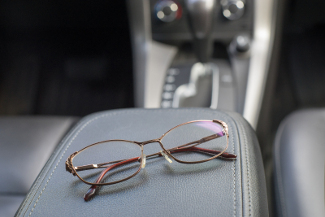 My services are mobile — that means if needed I can show up on your doorstep with a large selection of glasses just for you! 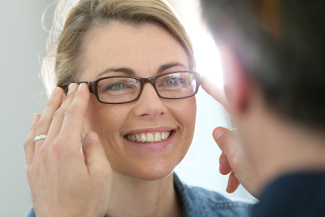 Whether it’s prescription or non-prescription, we have plenty of stylish glasses for you to choose from. "Services so good you won't believe your eyes." We can't wait for you to see what we're all about! Paulette is wonderful! She’s great with kids and managed to find them a pair of glasses that they love! I never buy sunglasses because they never fit me quite right. However, Paulette was able to find me a pair that not only fit perfectly but looked great as well! I not only found the perfect pair of glasses for myself, but they were very well priced to boot! Would highly recommend.